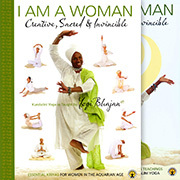 Self Knowledge by Yogi Bhajan contains the tools you can use to experience the totality of your own self. Each meditation or set of exercises has an immediate positive impact. These techniques, practiced regularly, give long-term positive development of your highest potential to live your own life fully and well.